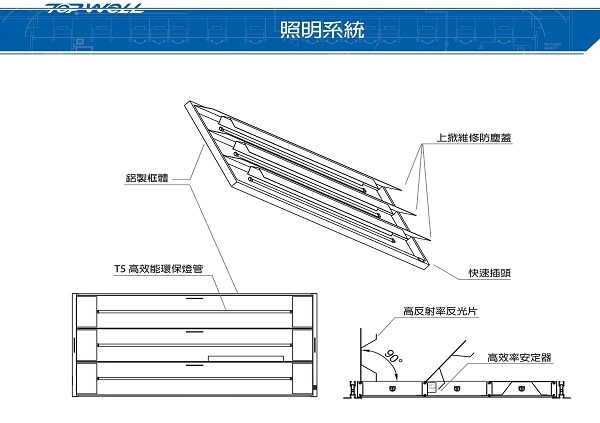 TOPWELL Cleanroom Recessed Type Lighting Unit Specifications - Chyi Lee Industry Co., Ltd. The maintenance cover is top accessed ( bottom accessed available by order), other dimension can be customized upon request. The lighting size is to meet the ceiling pitch 1200x600 and 1500x750.